Saw a post on Instagram of some kayakers. It looked like they tried to drive the quad trail (along the Maskwa, beyond Maskwa Project) and did not make it to the bridge at the falls. A coworker was up the trans licence road last fall and it was pretty bad. Lots of beaver ponds and flooded out sections. I parked at Maskwa two weeks ago and at the end of the gravel the road was a disaster. The quads were having a hard time. They did make it to the falls as I went up by river and met them there. Nice spot. I contacted the Project by email and was told to call the caretaker and ask permission to launch there. They said normally it should be no problem. We are going up on the July long weekend, Friday morning and out Monday morning. See how far we get. Bing Maps shows some amazing waterfalls and other river features along the way. The lake is 50km in and details show many, many sweepers the closer you get so I doubt we will get that far. Hey Neil, wanna come along? I would love to but unfortunately I can't. Rivers are all pretty low but I think you'll make it to the lake. I might be able to swing a day that weekend to get on the water and if I do, maybe I'll come out that way. I'm interested in your interest in this river... my son's Beaver group uses the Maskwa Project to camp a couple times a year, and the kids go canoeing the 1-2 km from the camp up to the 1st rapids. So I'm curious to know what lies beyond! I'm posting here because this thread has already got some info on the roads etc., but I see from your other, newer "No Pain, No Gain" post that you've been clearing some portages. How far up have you been? I tried following that report, but without photos and maps, I couldn't be sure where you were talking about. Do you have maps you could share so I could relate to the info that's there? I was looking at accessing the N branch of the Maskwa R from the "Translicence Rd" (which is about 11-12 km up Hwy 304 after Broadlands Rd, and goes east to connect to with Hwy 314 just below Rabbit/Black Rivers, and touches the Maskwa R a few times along the road's eastern half). This would give about a 25 km paddle back down to the camp. However, the first access to the Maskwa ("N branch") is about 17-18 Km down the Translicence Rd, which I take it isn't passable any longer. I'm also not sure that "N branch" is anything - though it goes a long way up to connect to Black Lake area around 314, it may just be a little trickle of a creek? 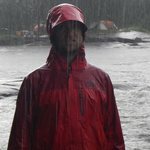 Anyway, thanks for any info you have on the Maskwa between the camp (Maskwa Project) and at least the fork in the river about 17 km up from the camp. On the camp's web page, they mention wanting to increase rec opportunities, including paddling to Maskwa Lake (approx. 50 km upstream from the camp following the S fork). After the first rapids it looks like there is some more fast water within the next few kms, including what looks like a stretch for several hundred metres (based on looking on Toporama) - I wonder what that's like? Curious to know how far up you've been, and especially whether there is any nice camping for a young family. At the fork (17 km past the camp), have you ever taken the fork/tributary N up towards the road (7 km to the road), or have you always gone S & E on the main Maskwa R that eventually goes to Maskwa Lake? At Maskwa Project in the winter we heard loads of snow machines across the river. ATV access is obvious at the 1st rapids (but likely just from access past the Maskwa Project Rd?). And the Translicence Rd parallels the river (south/main fork) for a good chunk (8-9 km) about 18 km in from Hwy 314. Given all that, I'm wondering about other users in the area - if one canoes 10, 20 or 40 km up the Maskwa River, will they be camping at places that are shared with ATVs? What's the influence on the Maskwa River in terms of others' presence, noise and litter? What's the character of the river in terms of swampy shores vs outcrops for camping? Thanks very much for any info, Pat. p.s. Having looked at Charles' video again, I can see what's at the 2nd rapids/falls and note there is a bridge - not sure what access that relates to, but raises my concerns about access by motorized vehicles. Beyond that, I'm not sure what's where, though I think Charles went 10 km upstream. All looks pretty low-lying in terms of frequent camp spots. And I'm guessing the "N fork" is nothing but a little trib. As far as I know, Translicense is no longer passable. I believe some of the kayakers tried last year and couldn't make it. They went back again this year but either hiked in or got shuttled by ATV. We can bug them at pool sessions about the road. Or we could go for a fall drive one day and see what we find. Karin's description of flooding and beaver ponds on the Translicence Rd makes me assume it is not an option. I was also looking at accessing the "N branch", but zooming in on the map, I think it's probably just a squiggle of creek anyway. From your previous post I was assuming the kayakers had just tried the road/track along the river that continues past the Maskwa Project. However, knowing they also tried the Translicence Rd makes me even more curious what's up there! Going to Maskwa Project this weekend. Perhaps we'll go to the 2nd falls this time, but I don't expect to get farther than that with the kids in cool weather, less if Eric get obsessed with fishing. If my family has the time and patience I might drive up and have a look at the Translicence intersection, although I expect the condition can't really be judged until you get several ks in to the first water crossings. p.s. Very interested in getting in one more day of ww play in October! All my Sept weekends were booked with family stuff. We have paddled as far up as the 5th rapid although we do not know if a portage exists, but it would be on the left side facing upstream as that is where the Oak trees are. Find the Oak trees and the portage will be there. #4 is really long and on the left side and needs to be cut out, but again, it starts at two Oak trees on the bank and carries on up the hill. Follow the trees. I actually have not been in a canoe this year but Christy was up the Maskwa late August and it was dry. She and her partner walked up the first rapid itself rather than using the portage and above the second portage the river was dry. I should have info somewhere. I'll have a look when I get home. Nice to know there is nice camping at "4". If you do get chance to show where your numbers relate to on a map, that would be great to have. Having looked at Charles' video again, I can see what's at the 2nd rapids/falls and note there is a bridge - not sure what access that relates to, but it raises my concerns about access by motorized vehicles. Beyond that, I'm not sure what's where, though I think Charles went 10 km upstream. It all looks pretty low-lying in terms of frequency of camping spots. And I'm guessing the "N fork" is nothing but a little trib. It’s been years, more than a dozen years, since a canoed from the trans license road south to broadlands road. A little less time has passed since day tripping on it. Once saw a group camped RR about half way between trans license road and broadlands road. I'm curious to know where you put in, driving from 304 side or 314 side, and because the road parallels the river for quite a distance, but I guess it doesn't matter now anyway since the Translicence Rd was passable 12+ years ago, but is no longer an option. Interesting that you did it, but perhaps telling that you didn't go back! I'll ask you more about it another time. The ATV tracks at the 1st and 2nd rapids seem quite well used. On Google Maps, the Maskwa Rd, though it's not driveable past the Maskwa Project, continues parallel to the river for a long way. On the other (south, RL) side of the river there is also a road/track marked (Lessard Rd) that is quite close to the river too. My conclusion for now is that there might be too much ATV use and too few good campsites for me to make it a family trip, but perhaps I'll eventually poke around further upstream anyway. Or could be fun to take ww boats to the first rapid, but mostly as something novel, not really worth the trip just for the ww play. Water this weekend was a bit higher than I'd seen before, so there were some waves etc. And the water was heavily stained - the colour of really dark tea! Too bad that there is no longer upstream (Translicence) access to do it as a shuttle trip. Pat, I could dig up my notes from back then...but we put in off the TL road, from the west Hwy 304. Distance was something like 20 km down the road. True there is an ATV trail along the river but I don’t think it sees a lot of use. I’ve paddled on the river several times but only once the length of it from the TL Road south to Broadlands Road. At epic high water the rapids are worthwhile but epic water levels are not enough. Nor are the rapids grouped together. As for camping, that depends on your standards. Definitely worthwhile to scout it out before taking the family. I have an unrelated question Pat. Why in heck are you moving back to Winnipeg? The last time on the river when we were all the way in to #5 the quads were on the trail beside it so they can get that far. Much more difficult for trucks though. Christy has walked the road to the second port and has more information.